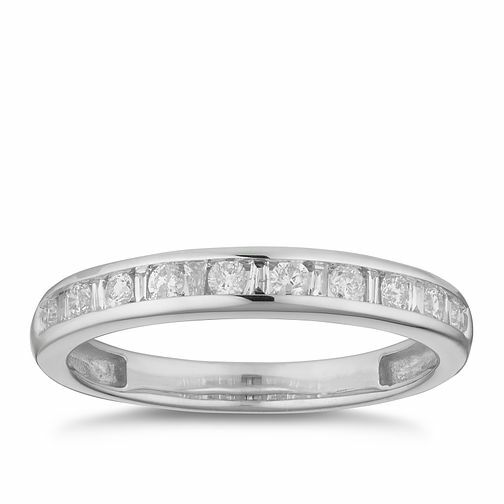 Beautifully crafted in 9ct white gold, this sophisticated ring is channel set with dainty diamonds. A sophisticated and stylish ring to perfectly celebrate and commemorate your love with. The total diamond weight of this ring is 0.25ct.